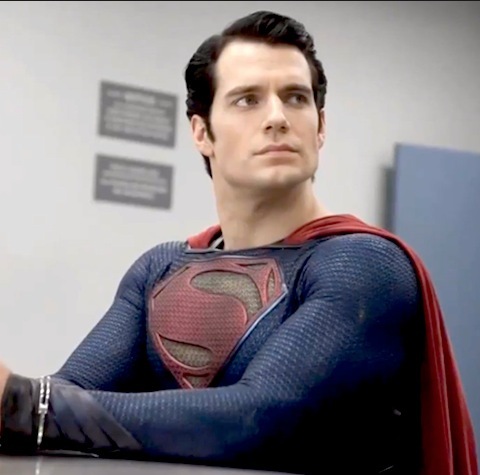 In a year full of sequels and ambitious sci-fi flicks, Man Of Steel was probably the most anticipated movie of the 2013 summer season. Indeed, among all the superhero movies from the last decade or so, Superman has been the only key character missing, and fans were ready to see him in action. So, did Man Of Steel deliver? Unfortunately, the answer can only be: sort of. The movie isn’t necessarily bad – it’s fun, action-packed, and in many ways on par with the other hero movies we’ve seen recently. But let’s just say there’s no need to rush out and see it a second time. You won’t mind waiting til this one comes out on DVD or pops up on Picture Box Films before you see it again. Here are the 5 main reasons that Man Of Steel was a bit of a disappointment. Okay, so we knew Christopher Nolan was only producing this movie, and not directing it. Technically, if you were excited for Nolan’s involvement, it’s your own fault. But the fact is, you can feel Nolan’s presence in Man Of Steel, and it’s just enough to make you consciously wish he’d just directed it. It might be the generally dark/metallic atmosphere, and it might even be the Hans Zimmer soundtrack, but whatever it is, it’s a maddening Nolan tease. The powers of Superman, Zod, and Zod’s head henchmen were all over the place in this movie. Sometimes Earth saps their powers; sometimes their helmets allow them to maintain ability; sometimes their ship supports their higher strength, and sometimes it doesn’t; sometimes Superman has an atmospheric advantage, and sometimes he’s weaker than Zod. Ultimately, it came across as a part of the movie that changed conveniently as needed by the storyline. Most notably, we didn’t see the essential scene of baby Superman being discovered by his Earth parents. A reference isn’t enough with this one – this is one of the most important scenes in comic book history, and we didn’t get to see it. In fact, very few individual images or scenes from the movie are memorable or iconic at all. Flashbacks can be effective when they serve a purpose. Putting it bluntly, this movie seemed to jolt us back and forth in time entirely at random, without enhancing the storytelling at all. Remember that scene where Superman saves people from an oil rig disaster? I dare you to tell me where it fit into the story and what purpose it served. It’s just getting old. Somehow, Michael Bay won. Instead of being ridiculed and driven into extinction, excess action has become more and more normal in Hollywood. Would it have killed director Zack Snyder to focus a bit more on character development (and giving his new Superman a bit more of a pulse or personality) and less on exploding buildings? So what did you think of Man Of Steel? Leave your comments below! I loved every minute of Man of Steel it was finally the Superman movie I’ve been crying out for. The best scene IMO was when all of Clark’s powers come alive during his childhood in a classroom and he freaks out, that was such a beautiful scene. The finale in Metropolis has set up a perfect way to introduce Lex Luthor in the sequel, he’s going to come in and rebuild the city but during that he’ll also publicly attack Superman and ramp up fears about his dangerous powers. I can’t wait. The best scene was undoubtedly the ending, where Clark Kent of the Daily Planet finally appeared. I thought this kind of reversal of the story was quite clever and in a way, Clark donning the glasses to hide from the Superman persona was the most iconic of the film. It was also a rare peaceful moment! Good film, but what an utterly fantastic venue.